Copernicus builds on a constellation of satellites making millions of daily observations, as well as on a global network of thousands of land-, air- and marine-based sensors to create the most detailed pictures of Earth. 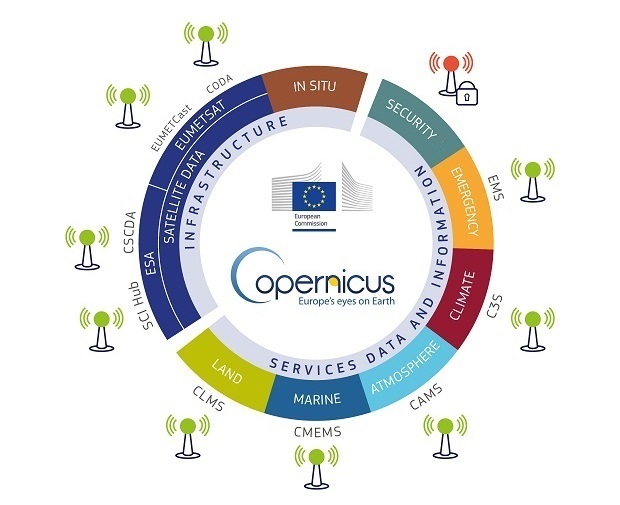 The vast majority of data and information delivered by the Copernicus Space infrastructure and the Copernicus services are made available and accessible to any citizen and any organisation around the world on a free, full and open access basis, through a series of access points. A simple click on the access points represented on the diagram below provides access to factsheets explaining how data access works. Click here to access all factsheets.